Not that long ago, hats were used commonly. Today a hat is such a bold statement that very few can wear one without looking dressed up like a movie character. 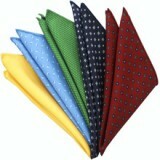 Luckily there is an alternative for the gentleman who wants to cover his head without giving the film noir impression. 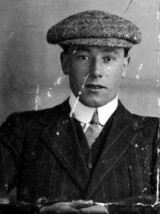 The flat cap (certainly not the baseball cap though) is nowadays the dominant and therefore also the most democratic hat garment of rural England. That quite many of the accessories we appreciate nowadays simply on account of their appearance have practical, rather than ornamental origins is of course common knowledge. But what is it that makes a practicality pleasing to taste? This is more of a mystery. You have just picked out a nice pair of shooting socks with matching garters. So how come they are long enough to cover the knee of an average NBA basketball player even when the decorative top is folded down? Ever since the hapless King Richard II tried to get his ill-mannered courtiers to stop blowing their noses in their sleeves, the subject of handkerchiefs has been in every genleman's mind. The button-down shirt has been called America's sole contribution to shirt fashion. One should therefore think carefully before adding one (even if it is a classic pink Brooks Brothers "Oxford", bought on a trip to New York), to one's wardrobe, if one wishes to maintain the appearance of a conscious Anglofile. The button-down is for American Ivy-Leagers. The English Gentleman has no use for it.